Though I reviewed the first book favorably, after 8 books and some really tropey behavior, I am so ready to throw in the towel. 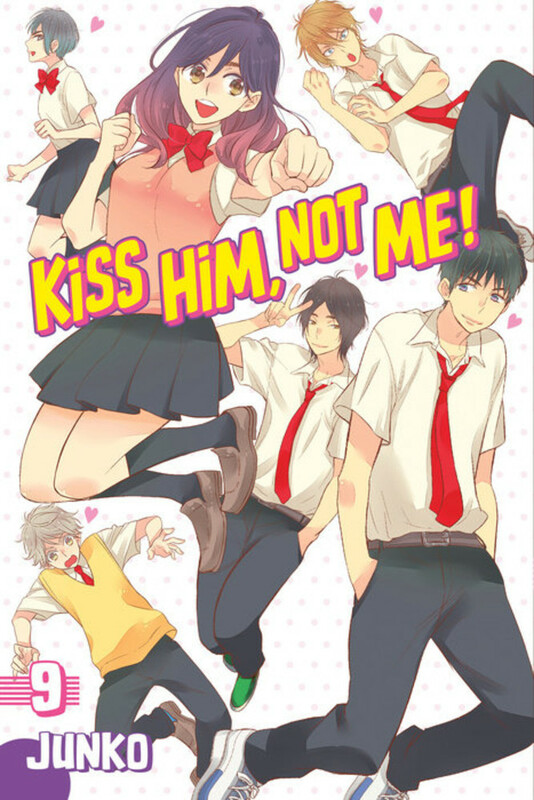 Considering the author was herself an author of Boys-Love manga, I can’t believe there isn’t any sincere queer representation in this book. I am still hoping that one of the four boys who purports to have interest in Kae will actually have interest in one of the other boys. But I won’t hold my breath. I think that will make the difference between a series I will recommend and one I will forget and quickly remove from my book shelves once I’ve read it. Volume 9 offers a bit of hope, a girl tells Kae that she can’t keep dragging all those boys around, and so she tries to make a decision, but now it seems they don’t mind! And supposedly the next volume will pick things up… why are manga like this??? I'm getting really frustrated with the plot development, it constantly stagnates. It almost progressed and then the characters proclaimed they were happy with the way things were! Apparently the next one will have 'change' and 'things will pick up' but I truly wonder if they will and if the end will have been worth the wait. There could have been a lot of slow and steady development between the characters. Maybe I need to be a connoisseur of the genre to see them, then again, maybe this is just the way the genre is and there is no actual character development. Labels: 2.5, G: Manga, G: Romance, K: High School, K: MOGAI, K: Reverse-Harem, M: Shojo, Review, S: Kiss Him Not Me!